It’s Romney’s nature to be insulting, but couldn’t he just get a radio talk show so we wouldn’t notice him? I’m not part of the security planning for the games this year, so I can’t answer that, but I those people involved in planning security for the games know what is at stake and I’m sure they will do everything possible to anticipate and address any security threats to the safety of the London Olympic games. I’m not part of the organizational committee this year, so I can’t answer that question. ...a few things that were disconcerting……The stories about the private security firm not having enough people, supposed strike of immigration and customs officials, that obviously is not something which is encouraging. He insulted Great Britain, the International Olympic Committee, the London Summer Olympic games, and cast doubt on the safety for everyone attending the London games. In the end, the London Summer Olympic games went without any security issues and Mitt Romney lost the election. Fast forward to 2014. The Sochi Winter Olympic games have been overshadowed by fears of terrorist attacks as the games are being held near areas of recent bombings. In addition, the Sochi games have been notable in making Russian President Vladimir Putin’s friends rich and the games have been labeled as the most corrupt in history. SLAP! Without mentioning that he was wrong in 2012, he implies that the Russians know what they are doing and the British didn’t. 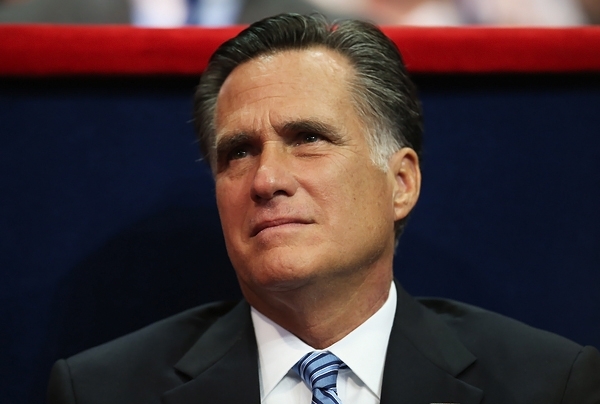 Romney insults Great Britain again and suggests that he knows something he really doesn’t. He then says that he would be comfortable sending his family to the Sochi games. London was risky, but Sochi could be a family vacation? Ouch. Great Britain, I sincerely apologize for Mitt Romney. But to be fair, you’ve had your share of badly behaved Royals. We are trying to make up for it with stupid rich people. I think we’re winning.